This years Mint 400 was one for the record books. Close to 330 vehicles signed up to battle other racers and a brutal course to earn top spot in their respective classes. Drivers battled through thick dust all day long to gain any position they could. When the dust settled, it came down to several drivers running Howe Performance products claiming top honors. Anticipation was beginning to build as the morning race came close to an end and the afternoon racers were starting to stage. Over 50 of the best Trick-Truck teams and close to 40 Class 1 teams were lining up in qualifying order. 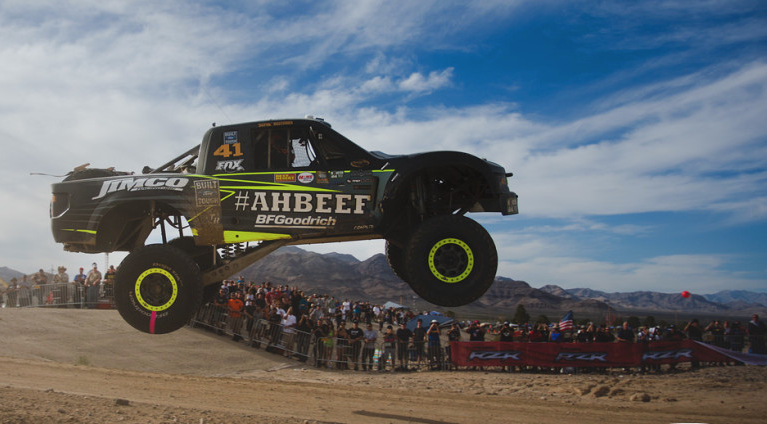 Right behind those classes, 6100 trucks, 7200 trucks and Class 8 trucks were ready to fight for their chance to win The Mint 400. Dale Dondel of Racer Engineering was the first truck off the line with everyone else chasing him down. Positions were gained and lost during the first laps mayhem. In the second and third lap Team Howe Performance driver, Justin Lofton fought his way to be the first physical truck on the road. 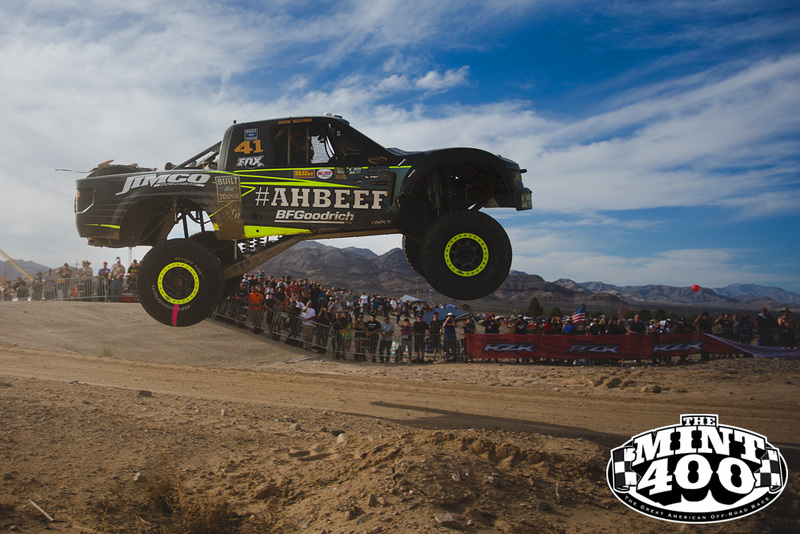 He would continue that lead until the finish line and secured his spot as the Winner of The 2015 Mint 400! This was only Justins second race in his brand new Jimco Trophy Truck. They designed the truck to have our 8:1 ratio Steering Box. Justin has mentioned he will never go back to a traditional rack and pinion because he loves the way his new truck handles.